Here’s something a little healthy for the new year. Even if your new years resolution wasn’t to watch your weight, you have to try this. 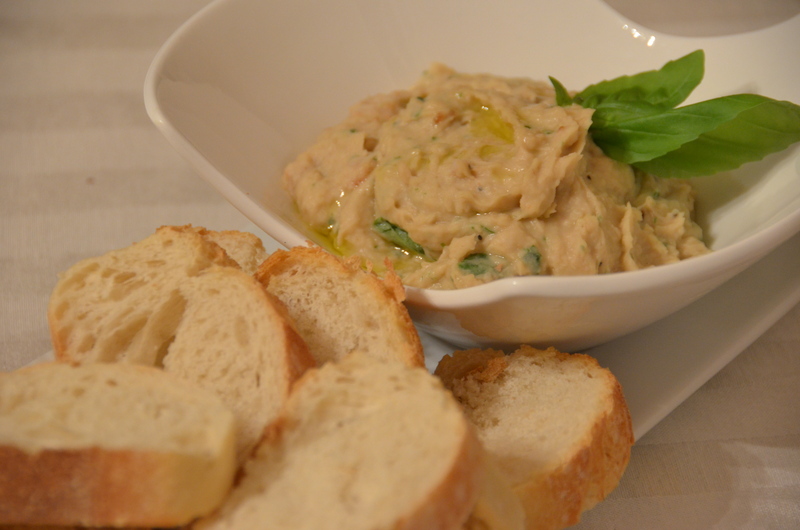 White bean dip is one of my favorite recipes because it’s packed with so much flavor and takes just minutes to make. To roast garlic, cut of tops of garlic to expose individual cloves. Place in foil and drizzle with a little olive oil and sprinkle with salt and pepper. Place in a 400 degree oven for 35-40 minutes until garlic is browned and soft when pressed. Set aside to cool. Place all ingredients in a food processor except olive oil and basil. Pulse ingredients until they begin to come together. With processor running, slowly drizzle in olive oil until smooth. If you would like your dip thinner, add a little more olive oil. Add basil and pulse until combined. Dip can be served immediately or chilled. Try serving with toasted bread, pita, or tortilla chips.